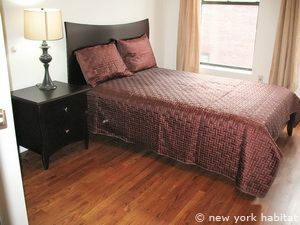 This is our reference NY-14645. 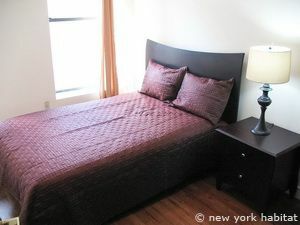 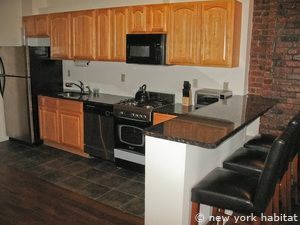 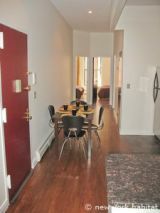 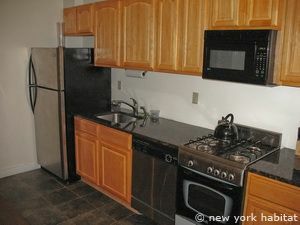 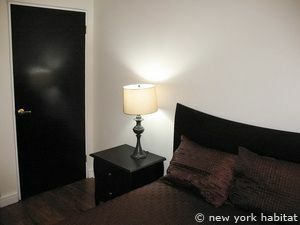 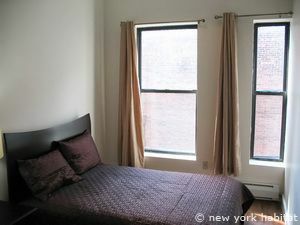 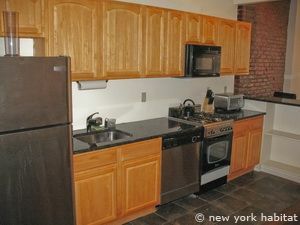 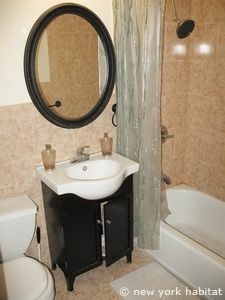 Located in Harlem, Manhattan, this fully furnished two bedroom apartment is situated at Lenox Avenue & West 123rd Street on the 3rd floor (European 2nd floor) of a walk-up brownstone building. 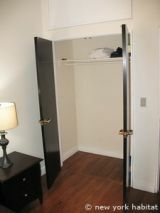 The building is secured by an intercom/buzzer system and has the convenience of laundry facilities in the unit. 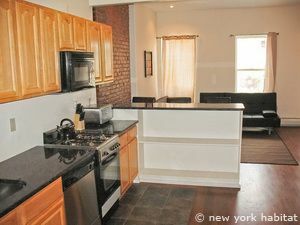 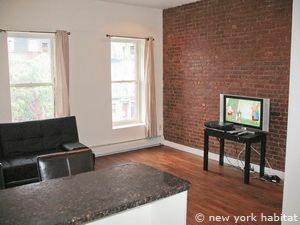 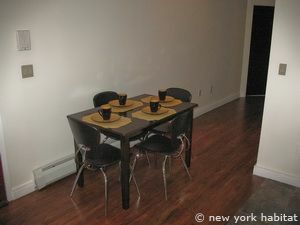 The New York apartment is furnished with modern décor and features hardwood floors throughout. 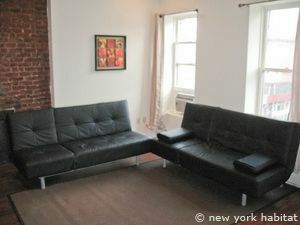 The living room is furnished with two full sized futon sofas, a dining table, a phone and a TV with cable. 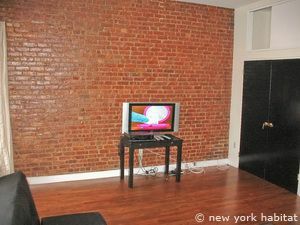 The living area all has an exposed brick accent wall, which gives the space a vintage feel.